Craig is in Boston, so VSR is in the hands of a motley crew. 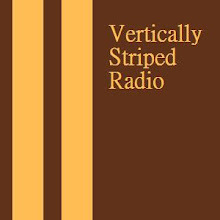 Join Face Ventura and whomever else is going to be joining in with him on this strange substitute teacher version of Vertically Striped Radio. I have a feeling I know who will be the Wanker of the Week, and it's the man in the mirror. 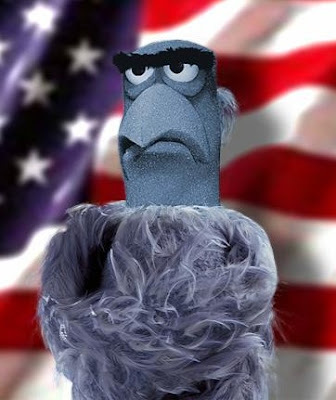 Best Line: "You are all weirdos"
Profile: Based on Richard Nixon, Sam the Eagle stands for truth, justice, and the American way. Overly obsessed with high culture and decency, Sam is extremely uptight. His delivery is top-notch and hilarious. Best Line: "Bork! Bork! Bork!" Profile: He sings and speaks gibberish with a Swedish accent and throws food into the air as he allegedly teaches you to cook. Pretty much all his recipes go wrong, and sometimes he is tasked with slaughtering his creation...which never quite works out. That's pretty much it, and yet he is transcendent at doing what he does. 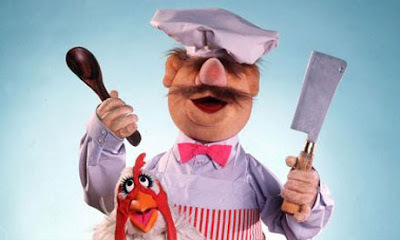 It's tough to NOT like the Swedish Chef. 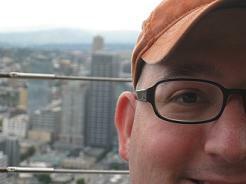 Profile: Okay, I'm cheating here, this isn't one Muppet, but two. Still, they are a team that pretty much always works together. 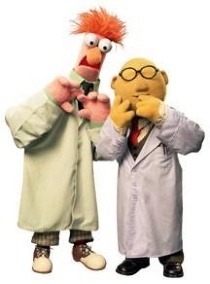 Dr. Bunson Honeydew is the scientist from Muppet Labs who comes up with crackpot schemes, and Beaker is his lab assistant on whom all his schemes are tested...usually to a painful effect. Beaker also has perhaps the most comically wonderful physical shape of any Muppet in history. He literally looks like a beaker, plus he has the fantastic tuft of orange hair and those tremendously expressive eyes. You can't help but feel sorry for Beaker, or help but laugh at his travails. Beaker rules. Line: "I am Gonzo the Great!" Profile: Most Muppets can be described as some type of animal; We don't really know what Gonzo is, but generally he gets referred to as a "Whatever." He has been romantically linked to Camilla the Chicken, and his daredevil career is bolstered by the fact that he shows absolutely no fear of being shot out of a cannon. Gonzo brings the weird. 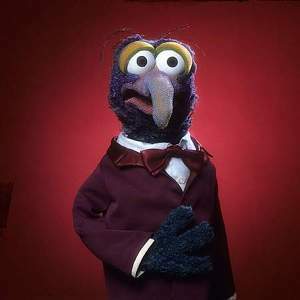 If you enjoy the ridiculous over the top weirdness, Gonzo is your man, er...your Whatever. 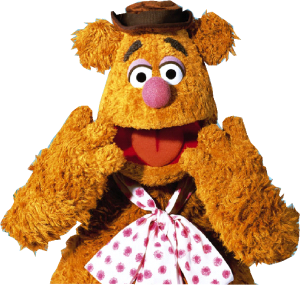 Profile: Fozzie is an extremely friendly bear who fancies himself a top notch comedian/Vaudeville performer. This impression he has of himself is shared by very few, as he is consistently bombing on stage during his act. Fozzie is lovable and is hilarious when he isn't trying to be, but tremendously unfunny when he is trying to be. Profile: Another inseparable duo, Statler and Waldorf aren't always known by name, but who doesn't love "The Grumpy Old guys in the balcony." These two are professional hecklers, and they are old and grumpy and pretty much hate everything. 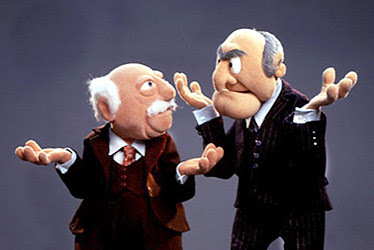 They are the masters of mockery, and I've never seen a Statler and Waldorf bit that didn't make me smile. Line: "Hi Ho, Kermit the Frog here!" 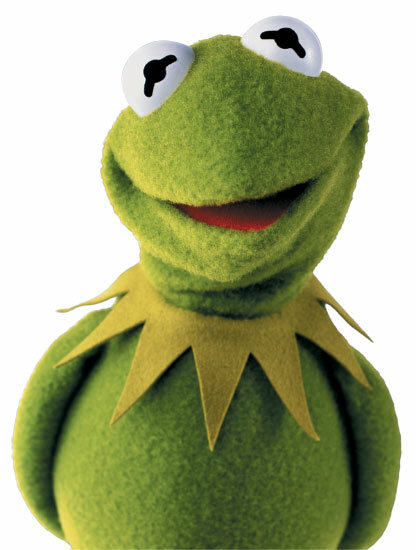 Profile: The main frog of the Muppet experience. Kermit is the most versatile of the Muppets. He can be used as the funny character or the Straight Man. He's funny in either role, plus he can sing. Kermit is the engine that drives the Muppets, and he'll always be my favorite. It was another Saturday on BlogTalk's best Self Help show! Face Ventura and The Whale both joined in with Craig to discuss naming which sports stars would be best for captains of their respective cities. Face seems to think Joe Sakic is a better all-time captain for Denver than John Elway, which is clearly insane. We discussed Pittsburgh, New York, Boston, Los Angeles, Washington DC, and even Philadelphia a bit later on in the show when Elevation called in to discuss the Survivor Finale. 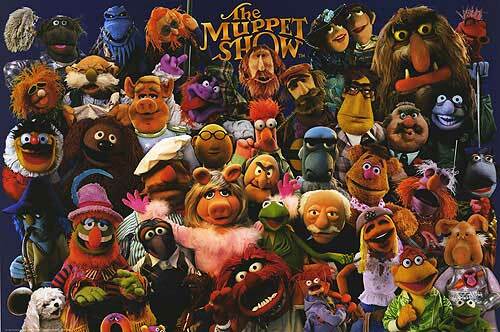 Craig also unveiled his Magnificent 7 list of the top seven Muppets of all time. A very controversial topic, to be sure. We followed up that list with a Muppet related Duel...Which Kermit the Frog song do you prefer? "The Rainbow Connection" or "It ain't easy being Green." The last 15 minutes were spent in discussion with Elevation Radio's John Kline where we discussed Philly's city captains along with the most ridiculous banners/retired numbers hanging in stadiums and arenas across America. It's tough to beat Washington DC hanging a banner for the WNBA Attendance Championship. A short little show...Tiny bit of news, The Week in Wankery, and a Bluegrass cover of MGMT. 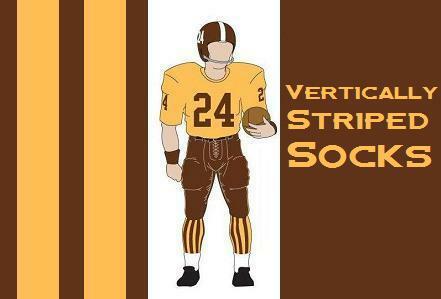 Vertically Striped Radio - Episode 53 - Cloudy, with a chance of Men. Fresh from a visit to Invesco Field to remove a 5 year old curse from the Bronco statues in front of the stadium, Craig was in a good mood. Face Ventura and the Whale both jumped in as we checked out this weeks' duel between an awkwardly comical commercial in the 90's for "Mr. Bucket" and a hilarious parody of the Wiggles entitled "The Clap." The Magnificent 7 this week involved the seven worst songs a baseball player could possibly use for his intro music. Number 1 is particularly delightful, if you ask me. John Kline of Elevation Radio checked in to discuss basketball, hockey, and most importantly this Sunday's Survivor Finale. For some reason, we kept putting a gun to John's head. Not sure why, but it was a fun gimmick. Finally, we tried to have a music recommendation, but the switchboard gave out, so instead we finish the show with The Whale and Craig singing the Dukes of Hazzard theme song. Quite the show. We learned that Irv is a fast runner, we learned what it's like to be The Ed's boss, and we got to hear Irv's "threatening" voice. Irv was truly outstanding for the time I was on with him. I had to put my daughter to bed, so I let Face take over, since he was controlling the switchboard anyway. Face enthralled us with stories of destroying things in Vegas with bowling balls and the like, he did the full 90 minute show. I checked back in for about 10 minutes right near the end and chatted with Major Minority and Face. This is far from our usual show, but I think it's worth checking out just to get a behind the scenes glimpse at the world of Security Guy Irv, plus you can hear Face Ventura working on his fake radio chops. Wow. Just Wow. From New Zealand: Dumbest Politician I've ever seen. We have a new leader in the clubhouse for stupidest politician alive. The Boston Red Sox. All is forgiven. I'm letting go of 2007. The Boston Red Sox. I always kind of liked them. 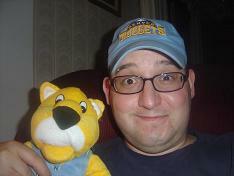 Not as much as my Colorado Rockies of course, or even the Chicago Cubs, but I cheered for them. They were the hard luck losers. Not bad enough to miss the playoffs continually, but not good enough to avoid the soul-crushing defeats every postseason. Being a Red Sox fan was a form of masochism, hard to do unless you enjoyed getting your heart stomped on every October. Then, it happened. One of the most magical postseason runs I can remember in almost any sport. I had just been laid off from a job I had enjoyed for 4 years, and was feeling a bit like the Red Sox, crushed and defeated. 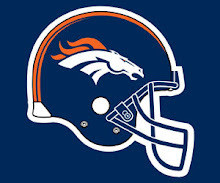 But it gave me time to follow their run through the playoffs, and I even found myself identifying with them. When they fell down into a three games to zero hole to the Yankees in 2004, I was watching at a sports bar with a buddy trying to figure out what I was going to do with my life. Then it happened. Down to their last gasp, somehow Boston rallied. A Dave Roberts steal opened the flood gates of the improbable, nay, impossible. Four of the most amazing baseball games I've ever experienced had me rooting as if I were raised in Cambridge instead of Colorado. I was so on board with Red Sox nation, I wanted them to win it, and I was emotionally invested. I was as close as you could be to being a Red Sox fan without actually being a Red Sox fan. When they won the World Series in a sweep against the Cardinals, I was jumping for joy. I set a Red Sox screensaver on my computer, and even contemplated buying something in Red Sox Blue and Red to commemorate the good feeling of a team rising from the dead, much as I hoped my career would rise from the dead. Flash forward to three years later...an equally improbable if infinitely less romantic baseball team from my home town went on an insane run to make the playoffs, and sweep through the National League playoffs to make the World Series. It was glorious, and I was so happy that MY team was poised to win a championship. Enter the team that three years previously had won my heart...and I watched them stomp on it and hand it back back to me in a crumpled heap. It started with a 15-1 massacre in Boston, and then a blur of Red Sox victories which ended my Rockies run in 4 games, as I held a ticket to a Game 5 at Coors Field that would never happen. I now hated the Red Sox. A team that had brought me baseball joy had denied my team a championship, and didn't even have the decency to lose once so that I could attend a World Series. I decided the Sox were dead to me. It hurt to much to see that Red B on a navy blue cap. I was bitter, I was mad, and I hated them. Fast forward another 3 years now...My wife and I are about to celebrate 10 years of marriage. We are celebrating by a trip to Boston. I had always wanted to see Fenway, and we were able to get a couple of Grandstand tickets from a ticket website. Now, I was faced with a dilemma. Would I cheer for the Sox and enjoy the feeling of being with the crowd, cheer for the Oakland A's...a team for which I had no affinity, or just watch as a passive observer. My original plan was to just watch as an observer, but looking at pictures of Fenway, seeing the passion of Sox fans, and knowing that I was going to be in Boston. I made a decision. I am forgiving the Red Sox. I didn't want to, but the thought of going to Boston and rooting against them just didn't make sense to me. I decided to let go of the pain. I'm still a Rockies fan, and I'll forever be sad that the Sox took down my boys, but I am not going to hold on to the hate. Next month, I will sit in the stands of Fenway Park, look out at the Green Monster, and cheer my lungs out for the Sox. I even bought a Sox hat on clearance at Lids. 3 years is enough. Plus, it's always more fun to root root root for the home team! Go Sox! Face Ventura gets his own special show to announce his decision of which English Premier League team he is going to call his own. It was between Manchester United and Arsenal, and he made the wrong choice. Oh well, it allowed Craig to make fun of him quite a bit, plus we will now be able to mock his new team's anthem, which is ridiculous. In addition to the soccer discussion, Craig had a big announcement in which he officially forgave the Boston Red Sox for 2007, and announced that the Sox would no longer be persona non grata in the Dodge household. Plus, Craig will cheer them on at Fenway next month. 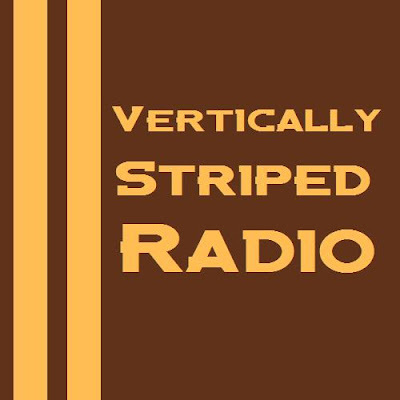 It was the Three Amigos edition of Vertically Striped Radio. Face and the Whale jumped in to listen in on a dueling set of Amigo songs in addition to helping us break down the Top 7 Television theme songs without lyrics. We talked a bit of sports, as Craig's brother-in-law Marat called in to ask Craig how he feels about Tim Tebow and we discussed a bit about the Dez Bryant-Jeff Ireland situation where Ireland has been accused of asking Bryant if his mother is a prostitute. Finally, and perhaps the best segment of the show, Larry from the LCS show dropped in to help us discuss the El Guapo conspiracy. The truth is out there, people! We finished with a music recommendation that was somewhat of a dare...Don't even think that I didn't recommend "Africa" by Toto, because I totally did.